The easiest way to read the quality of energy in your chakras is with a pendulum. If you have been wanting to understand your chakras and your energy system, set up an appointment today for a medical intuitive reading by emailing catherine@catherinecarrigan.com or calling 678-612-8816. I can read not only your chakras but your physical body, your energy body, your emotional body, your mental body and your spiritual body to determine the source of your energy imbalance. What you discover with a pendulum about the quality of energy in your chakras reveals a tremendous amount of valuable information about your physical health, psychic openness and experience of pain and suffering. To understand more about how you can balance your chakras to improve your physical health, please read my Amazon No. 1 best seller, What Is Healing? 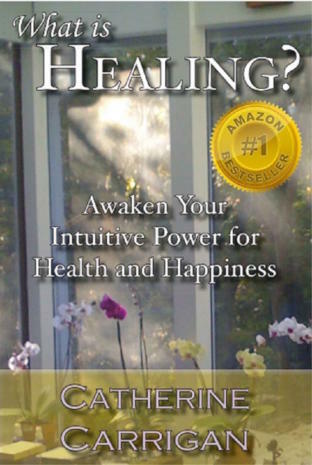 Awaken Your Intuitive Power for Health and Happiness. Your chakras must be open and balanced for you to receive accurate psychic information. To understand how to open your psychic gifts through your chakras, please read my Amazon Number 1 bestseller Unlimited Intuition Now. When your chakras are blocked or closed, you may experience pain and suffering. 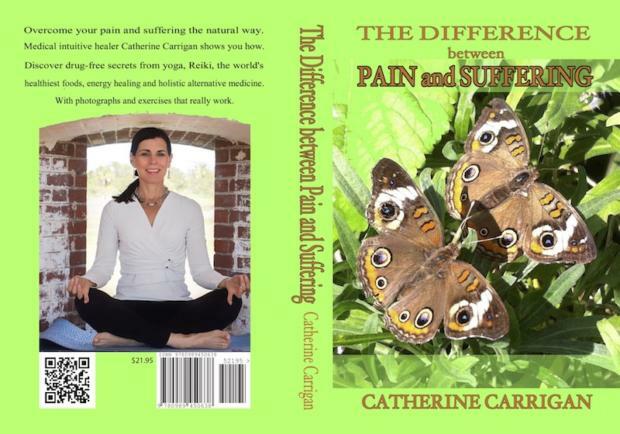 To understand how to balance your chakras to get out of pain and suffering naturally without drugs, please read my Amazon Number 1 bestselling book The Difference Between Pain and Suffering. Your chakras are a vital part of your energy system. When energy enters your body, this electrical current first enters the bahui acupuncture point on the crown of your head through your hara line, a vertical current that extends upwards and downwards, connecting you to the divine as well as grounding you into the earth. Your hara line in turn feeds energy into your chakras, which are vortexes of energy corresponding to your endocrine glands. There are seven major chakras and multiple minor chakra points throughout your energy field. Your chakras feed your acupuncture meridians. Your acupuncture meridians feed energy into your organs. Lastly but not least, your organs feed energy into your muscles. If you are experiencing a problem anywhere along this chain – whether it be your muscles, your organs or your acupuncture meridians, it all goes back to the quality of energy running through your chakras. Keeping your chakras open and balanced is therefore key to your mental, emotional, physical and spiritual health. Step One. Hold a pendulum in your dominant hand. Most pendulums have a small ball at the top followed by a chain and a small pointed object at the bottom. You can easily purchase a pendulum on the internet. I recommend all metal, or a pendulum with an amethyst or clear quartz crystal as other crystals tend to store energy. You want an instrument that can be kept clear. In a pinch, I will take off my necklace and simply use a necklace. Step Two. Place the pendulum over the center of a chakra. For this example, let’s have you read the minor chakra in your non-dominant hand. Step Three: On its own, the pendulum will begin a subtle motion. The motion you observe will indicate what is happening with that particular energy vortex. Closed: If the chakra is closed, your pendulum will not move. Open: If the chakra is open, your pendulum will begin to move in a clockwise fashion. 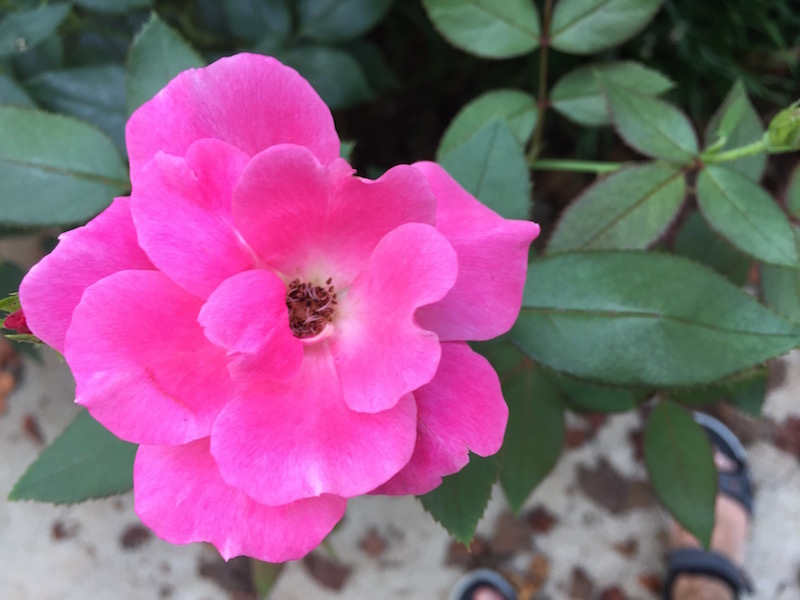 Counterclockwise: This indicates your chakra is open but the energy in that particular chakra is moving backwards. Over Energy: If the pendulum moves clockwise but extremely rapidly, that means your chakra is processing too much energy. This is not good because over energy always eventually leads to under energy. Under Energy: If the pendulum moves clockwise but weakly, the chakra is open but is deficient in chi life force energy. Erratic or Uneven Swing: If the pendulum moves but in an erratic or uneven swing, that indicates that the chakra is open but there is an imbalance, congestion or partial blockage in the chakra. Your chakras interpenetrate your physical body, energy system, emotional body, ego-mind and spiritual self. An imbalance on any layer may affect the quality of energy in your chakras and therefore the quality of every aspect of your well being. Putting it very specifically, that means that your chakras can be affected by karma or unresolved spiritual issues, your thoughts and beliefs, your emotions, any blockage or congestionin your energy system or physical malfunctions of your body. I use a pendulum if I am practicing energy healing or Reiki. I simply read the energy throughout the chakra system and that qualitative information gives me a good idea where I need to bring balance throughout your mind-body system. If you have been feeling unwell, a good place to start to begin to understand why is to read your own chakras. Once you identify where the problem is, the solution will become self evident. Set up an appointment for me to read your chakras and balance your mind body system with energy medicine. It’s easy, relaxing and a great stress reliever. Call 678-612-8816 or email me at Catherine@catherinecarrigan.com to understand more. Please read my chakras and balance my mind and body system. I have a pendulum just help me with it. I got 2 pendulums and while doing a Web search on the differnt uses of a pendulum I came across your page. It is fascinating to me and very informative and intriguing! I would like to see if your able to work with me and show me how to balance my life, body and soul by reading my chakrus. I am new to this but I also am very open. I have a wonderful life but I do feel as if my body and soul need some help. I appreciate your time and I hope to hear from you soon. 7th erratic, back and forth , then clockwise , then back and forth any advise would a gift . It would seem that I am denying my spiritual growth?? I work for Chinese health company and learning a lot about chakras and meridians. I use pendulum. But need to know more. How to treat people properly. I need to help my husband who is addicted to alcohol. He drinks nearly every day and has depression. I want to consult with you how to help him. Can you help me please? I’m lost in life and desperately want more then anything to feel good again. My third eye had a back and forth motion and my crown had a counter clockwise motion. Thank you so much! I have only two chakras going clockwise and the rest counterclockwise or erratic. I would like to know what I can do myself to get this system of mine in balance. Grateful for some advice. Thank you. 1. For a specific understanding of what is going on with your specific chakras and how you can get them into balance, set up an appointment today by calling 678-612-8816 or emailing catherine@catherinecarrigan.com. 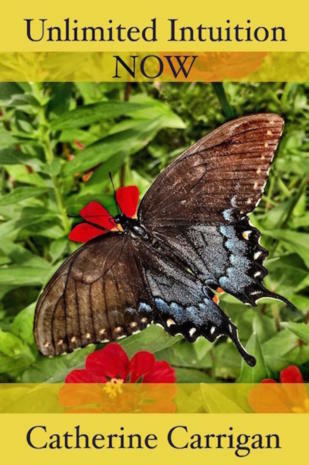 I can do a medical intuitive reading and healing work with you by phone, Skype or Zoom.us video conference.